Earlier today, the regular Nokia 7.1 leaked out in all its glory and was accompanied by quite a bit of information that covered everything from the spec sheet to the price point. And now, just hours later, a pre-order page for the smartphone on Amazon’s Spanish website has revealed its release date. Considering HMD Global is set to announce the smartphone tomorrow, it’s likely that pre-orders were initially set to commence immediately after. Regardless, the listing in question does confirm that shipments will begin on Monday, October 22. Also, coinciding with the information from earlier today, a price of €354,87 is listed for the variant with 3GB of RAM and 32GB of internal storage. Presently, no listing is available for the 4/64GB offering, but a €400 price tag is to be expected. For these price tags, a large 5.84-inch display complete with a pretty large chin down below and a small notch up top adorns the front. This is coupled with a rear glass design that makes use of a vertical dual-camera setup in the middle complete with ZEISS branding. Processor-wise, the Snapdragon 636 is once again listed. This is rather disappointing considering the Nokia 7 Plus offers the Snapdragon 660 at the same €400 price point. Nevertheless, as with all recent Nokia-branded smartphones, stock Android 9 Pie is to be expected as part of the Android One program. The Nokia 7.1 is expected to make its first official appearance tomorrow alongside the more powerful Nokia 7.1 Plus which will ship with Qualcomm’s Snapdragon 710 on the inside. I really don't understand why Nokia needed to release two more 7.1 variants this year. Couldn't they wait until next year? This is the successor to the Nokia 7. The Nokia 7.1 Plus is the successor to the Nokia 7 Plus. Kinda like the iPhone 8 and 8 Plus are the successors to the iPhone 7 and 7 Plus. They release to many derivative devices that aren't that much different from each other. Wait, isn't this just the Nokia 6.1 Plus?? 6.1 Plus battery is 3060mAh. 7.1 is supposed to have a 3400mAh battery, so the 7.1's is bigger. Don't forget the bigger chin on the 7.1. I recently bought 6.1 Plus and it is as compact as the iPhone X. What I don't like are the plastic strips because they are NOT co-molded with the metal frame. It looks really really cheap! And even the metal frame feels like plastic. It's NOT the same as the metal alloy used in the Nokia 6.1. 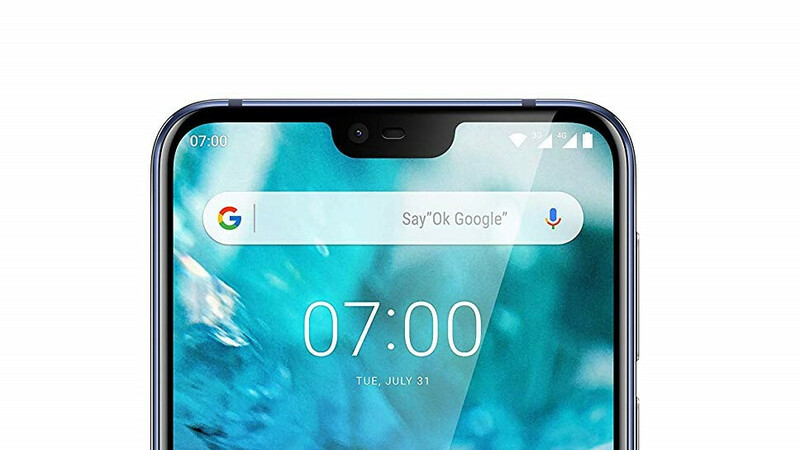 The Nokia 6/6.1 have the best designs of the current Nokia smartphones.